Hello gentle readers, and welcome to the SwitchArcade Round-Up for January 31st, 2019. The first month of the year is already in the can, and we’re sending it on its way with a whole gob of new releases for your consideration. Due to the heavy volume of new releases, we’re going to be skipping the news today, but it wasn’t a particularly busy news day anyway. And hey, I’ve got a couple more reviews for you to check out, so you won’t be hurting for things to read. Let’s attack aggressively! 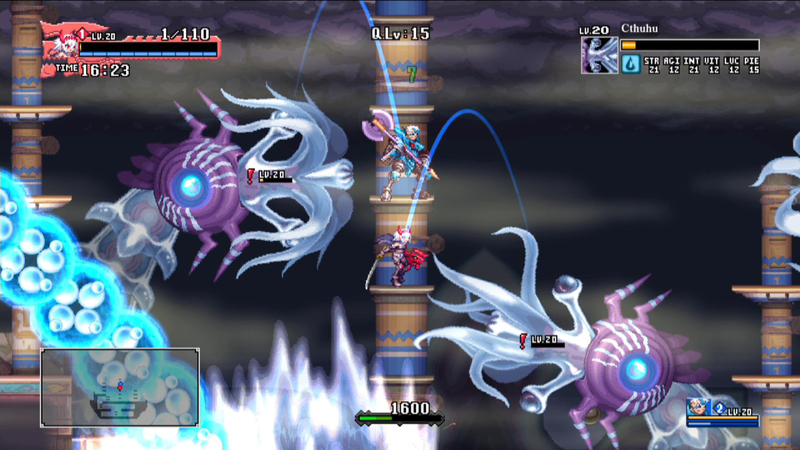 It doesn’t take very long to realize that Dragon Marked for Death has had an awful lot of effort put into it. 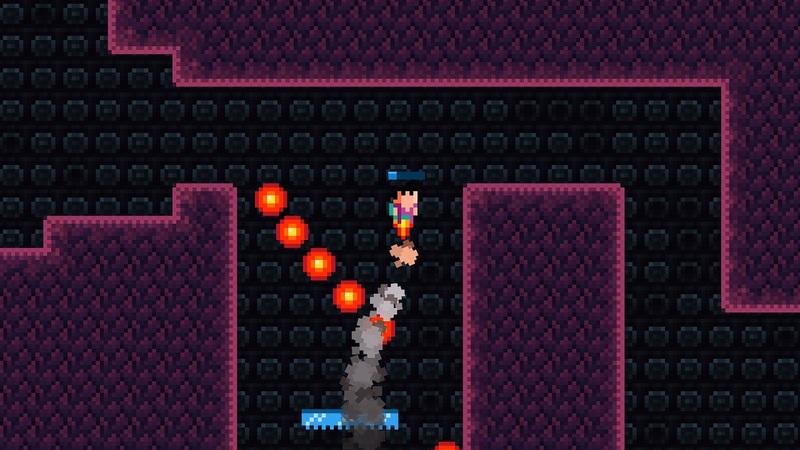 The pixel art looks great, the animations are excellent, and the controls are simply a dream. 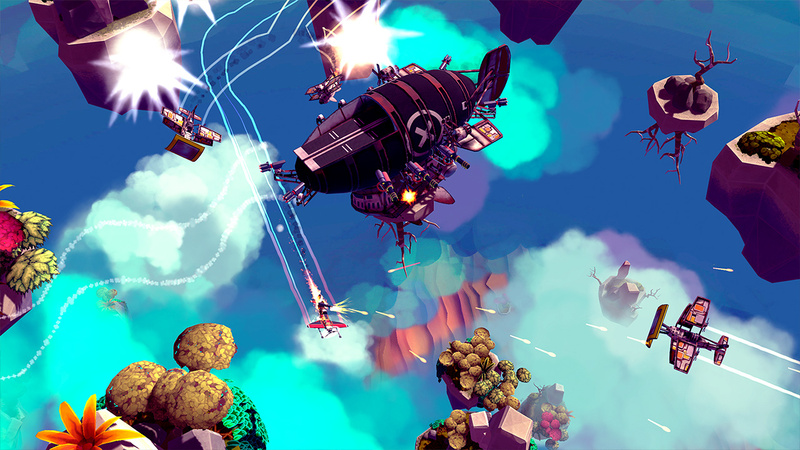 Of course, you would probably expect that from Inti Creates, the developer behind a frankly ridiculous list of excellent 2D action games. Mega Man Zero, Azure Striker Gunvolt, Bloodstained: Curse of the Moon, and Blaster Master Zero all show off the developer’s chops at making good-looking sprite-based action games that control well, regardless of each game’s other good or bad points. 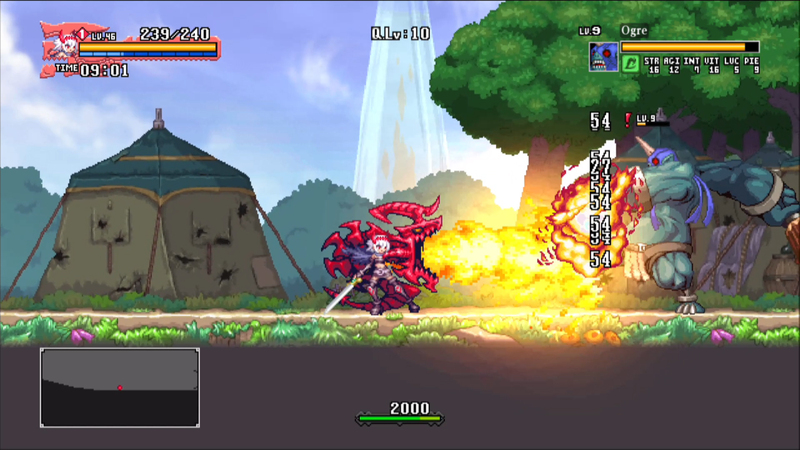 But Dragon Marked for Death feels a lot more ambitious than most of the other games from Inti Creates. Despite their quality, almost all of the games I mentioned are in a very specific sort of wheelhouse. With its emphasis on 2D action and platforming, Dragon certainly encompasses those elements, but it reaches beyond to something else: a multiplayer 2D action-RPG experience. So while this feels very much like a typical Inti Creates joint in the particulars, the game as a whole is something quite different. There’s a town that serves as a hub where you can pick up quests. Accepting a quest sends you out to one of many locations, tasking you with accomplishing various goals that mostly boil down to killing things while not dying yourself. Beating the goal sends you back to town, with new missions ready for you to tackle. Succeed or fail, you’ll come out of each run a little stronger. It’s obviously better if you succeed, as you’ll get a lot more rewards for doing so. But failure isn’t punished in any serious sense. You can pick yourself up and head out again with a bit more experience and an extra stat point or two in your pocket. There are items to find, treasures to earn, new gear pieces to equip, and so on. You’ll get stronger as you go, and hey, that’s what action-RPGs are all about. It often feels like you’re behind the curve when you’re playing on your own, however, and bosses in particular can get a little tiresome when you’ve figured out their patterns and are just going through the motions of whittling down an enormous life meter. Despite it feeling a little like a slog in places, you can certainly enjoy yourself playing Dragon Marked for Death in single-player. Whichever version you buy, you’ll have two distinct characters to play with, each of which is quite different from the others in terms of ability and how you need to approach each quest. The other two characters are available as DLC and will similarly lend additional replayability to the game. Inti Creates has a lot of experience in implementing multiple characters with different playstyles in their games, and that pays off handsomely here. So yes, even if you’re playing in the toybox alone, there’s plenty to do that is quite fun to do. That said, it’s clear that the best way to play Dragon Marked for Death is via its multiplayer mode. 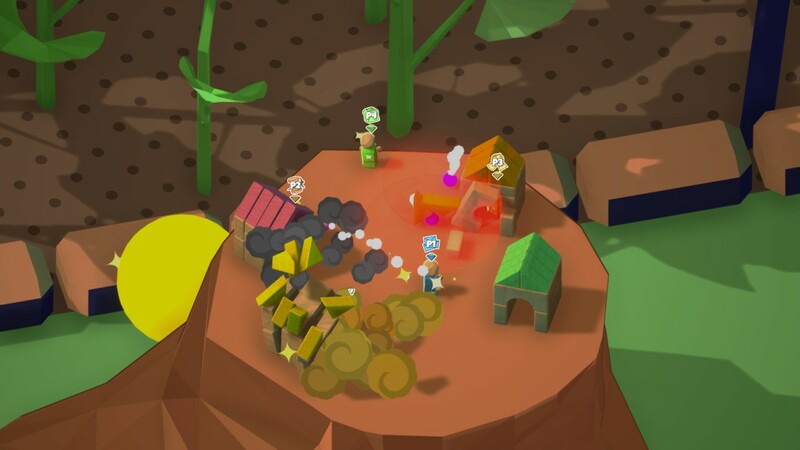 Up to four players can work together locally or online, which in turn allows you to put together strategies that use the strengths of all of the different characters. It also makes the pace of boss fights much better. Now, I’ve played multiplayer action-RPGs before, and I’ve played multiplayer 2D platformers before, but Dragon Marked for Death feels like something quite different. Despite the RPG elements, the core focus here is on the action. Quick reflexes and pattern recognition will do as much for you here as stat buffs will. But the RPG elements are certainly there, and its quest-based structure makes that very clear. It’s like Monster Hunter and Mega Man Zero had a baby, and woof, is it adorable. 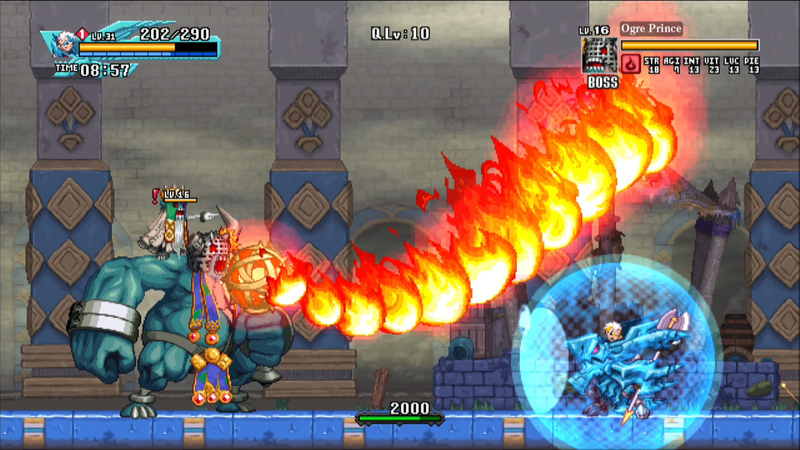 While the single-player mode has a few minor problems with its pacing, Dragon Marked for Death nails the 2D action fundamentals in a new framework that gives the Inti Creates formula a much-appreciated breath of fresh air. With multiple characters, tons of quests, and a wide array of goodies to collect, you’ll be kept busy with the game for a long time. 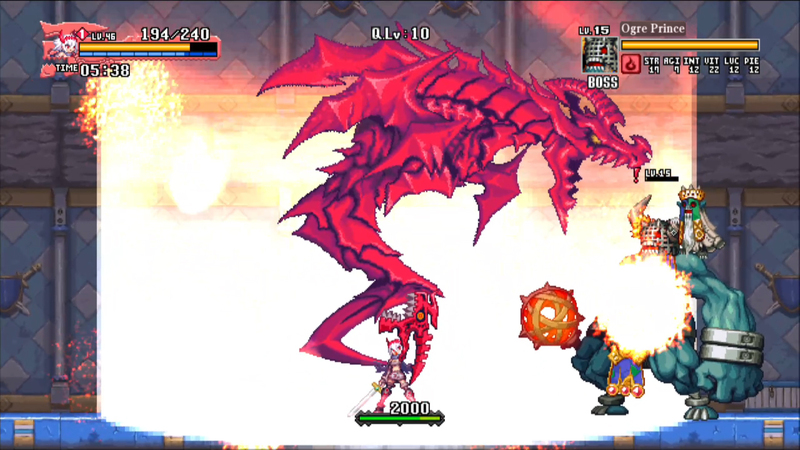 Head over to multiplayer mode and Dragon Marked for Death shows its true colors as one of the more compelling recent action-RPGs a bunch of friends could ask for. It’s definitely worth picking up for any fan of 2D action games, and if you have some like-minded friends, it’s pretty much a must-have. 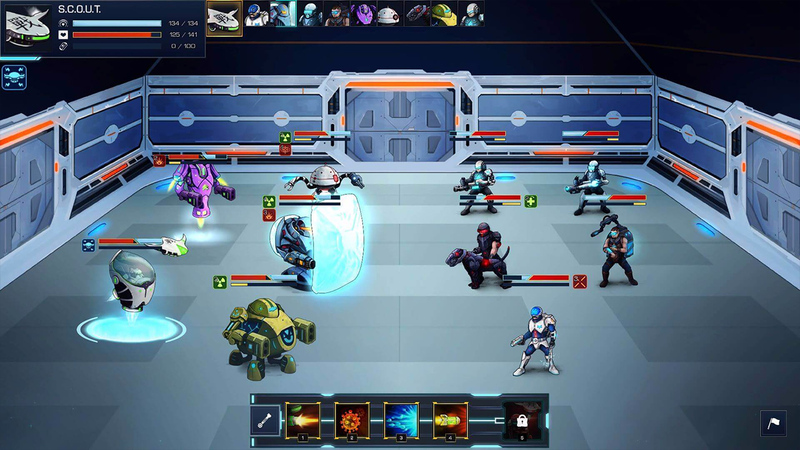 Necrosphere is one of those hard-as-heck games where you’re going to die over and over again. It doesn’t even take long to warm the ol’ engines up. You get a very brief tutorial and within ten minutes or so, it’s genuinely go time. It’s also got an exploratory Metroidvania-like element to it, so as difficult as it can be to navigate areas, you’re going to need to get very good at it. 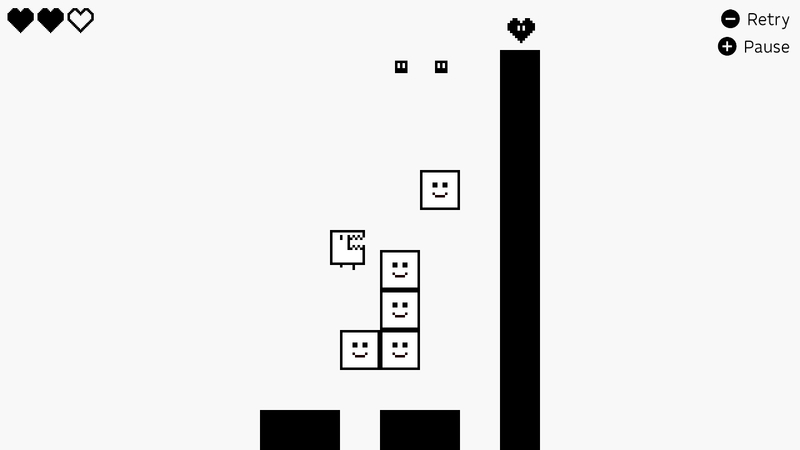 In carrying those two styles of gameplay together, it often calls to mind the outstanding VVVVVV. 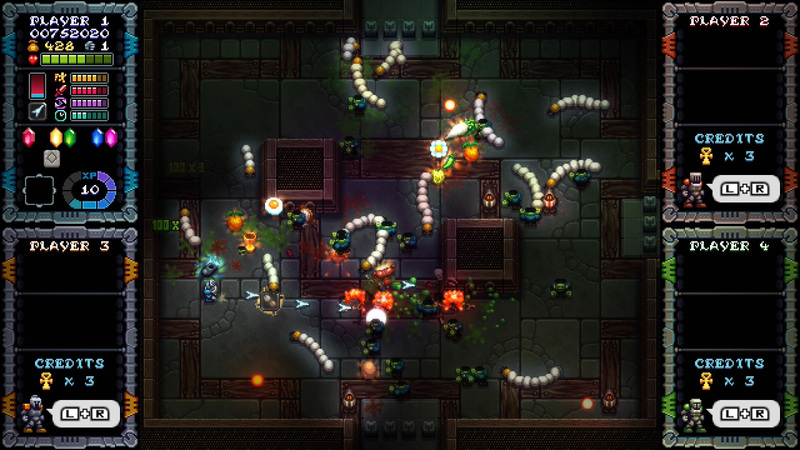 Though there are some resemblances, however, Necrosphere is a lot less substantial and far crueler overall. This is a game for the most patient, teeth-gritting players out there. It’s not going to give you anything. 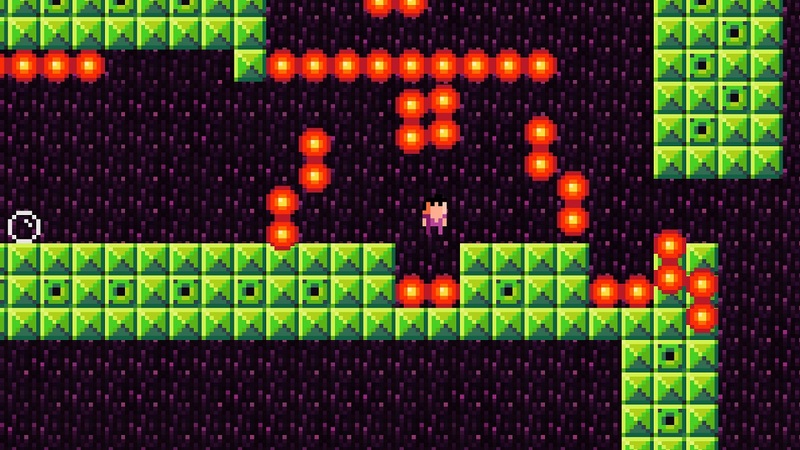 Another way it ends up feeling like VVVVVV is in how it limits your mobility. A lot of the difficulty in that game came from the lack of a conventional jump ability, forcing you to reverse gravity with precision to move around otherwise pedestrian obstacles. Well, Necrosphere doesn’t do that. No, you don’t even get that much from the game. Everything in the game comes down to two buttons, and in the beginning of the game, that means you can move left, and you can move right. You’ll have to rely on objects in the environment to get air time, and just the simple act of not being able to choose where you leap from makes thin margins of error even thinner. It’s actually kind of tricky to get your brain around this control set-up, especially when things really start heating up. But I can dig what it’s laying down here, and if you stick with it long enough, it kind of feels good to get around in this way. Deaths come fast and furious, but checkpoints are frequent and you’ll be on your way again a split-second after you perish. When it’s not frustrating, there’s something very pleasurable about the way the main character, Agent Cooper, zips around. 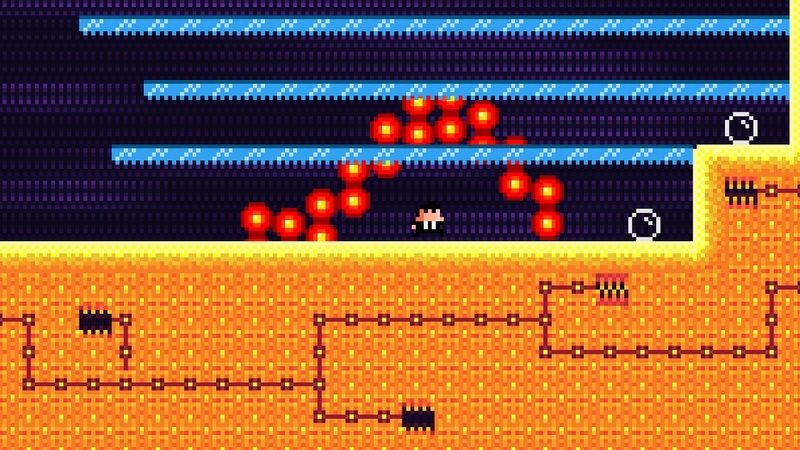 The level and trap designs are absolutely devious, but besting them gives that great feeling that I’d swear is the beating heart for this instant-death genre. But getting that feeling is tough in Necrosphere. It’s nasty too early, and altogether too often. You can argue all day about where exactly to drop the tack between stick and carrot, but Necrosphere picks up both implements and beats you with them until you cry. It’s probably too hard for its own good, especially as it tries to put forward an unusual control scheme. But if you’re the sort that blasted through the B-Sides of Celeste, runs through Veni Vidi Vici for laughs, and grabbed up every bandage in Super Meat Boy, you might find Necrosphere good for a few hours of fun. It’s built for mastery, and it’s not particularly worried if the rest of us can’t keep up. You know, for all the games about killing zombies, there aren’t really that many where you’re on the side of the zombies, are there? Well, here’s one. 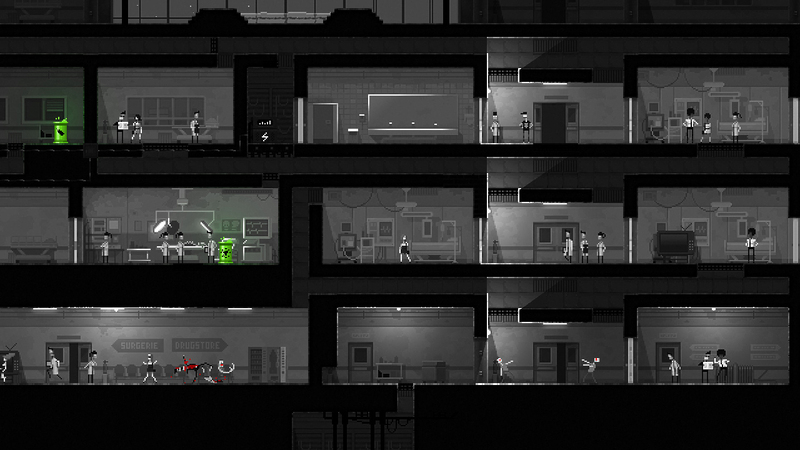 In Zombie Night Terror, you guide a zombie horde towards various objectives, with the ultimate goal being to convert all of the populace into a shambling, drooling, brainless mass. No comment. It plays out like a twist on Lemmings, so be prepared to use your noggin and quick reflexes if you want to win. And you know, be prepared to lose. A lot. That’s how these things go. 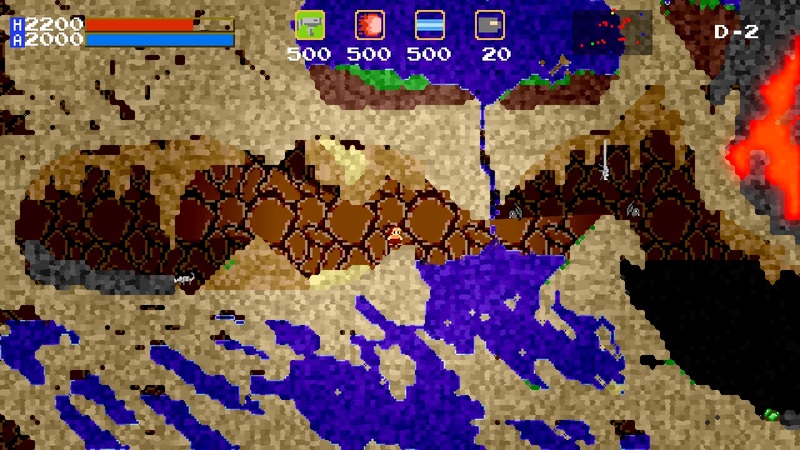 I’m honestly not a big fan of Lemmings-style games, but if you are, you might want to look into this one. 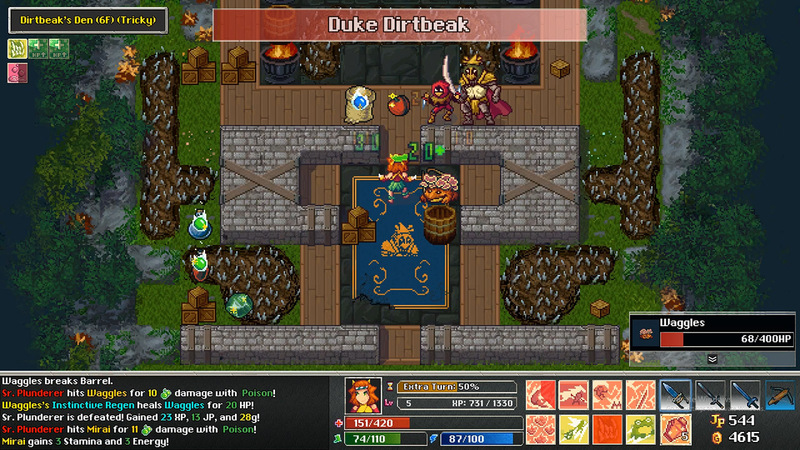 Tangledeep fuses a familiar turn-based roguelite dungeon crawl with the aesthetics of 16-bit console JRPGs, and it’s a real winner. There are 12 job classes, over 100 skills, and three game modes including one that softens the difficulty by removing permadeath. Just about every monster you see in the game can be captured and made into a pet, and you can explore smaller mini-dungeons where you can power up by jumping into Item Dreams. The soundtrack has a handful of big names including Andrew Aversa, Hiroki Kikuta, Grant Kirkhope, and Norihiko Hibino. Plus, Nintendo Switch players get some exclusive content in the form of new areas and new creatures. I’m a big fan of this game in its other versions, and I’m sure I’ll enjoy having it on the go, too. So yeah, this is basically an escape room puzzle game, but one that aims at beginners and/or the younger set. It has a cute style, I suppose, and the price is quite reasonable, but I’m not sure how much fun you’ll have with this even if you like room escape games. There are certainly better choices out there, but perhaps this one can appeal to people with its aesthetics? It’s more likely that it’ll end up lining the bottom of the eShop bird cage, but it’s hardly alone down there, eh? Sometimes a fresh lick of paint is enough to freshen up an otherwise overly-familiar spin on something that’s been done a little too much. I think that’s what Robothorium is banking on, because apart from its sci-fi setting there isn’t much remarkable going on here to separate it from other dungeon crawling roguelites. That in and of itself isn’t necessarily a problem, but there’s just something about Robothorium that feels… bland? It’s not bad, but it’s not really good either. Margarine on toast, but the margarine has had some interesting food coloring added to it. Haaa. 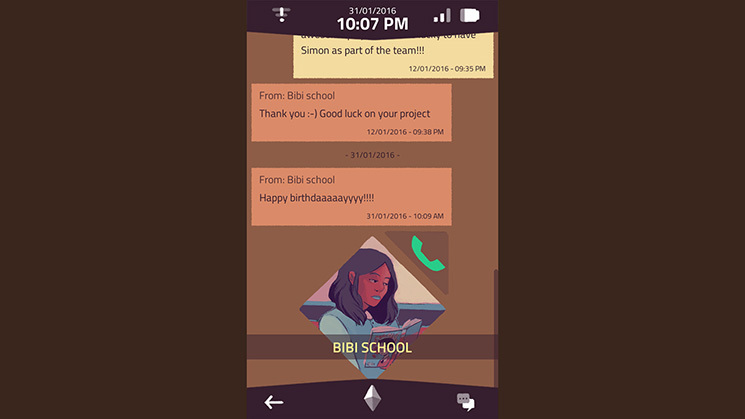 Well, this is a remaster of a visual novel from Key, the same studio that created Clannad and Little Busters, and it certainly was popular for a bit in its home country of Japan. Originally released in 2004, this is a visual novel in the truest sense, so you’re really just reading along with the story. 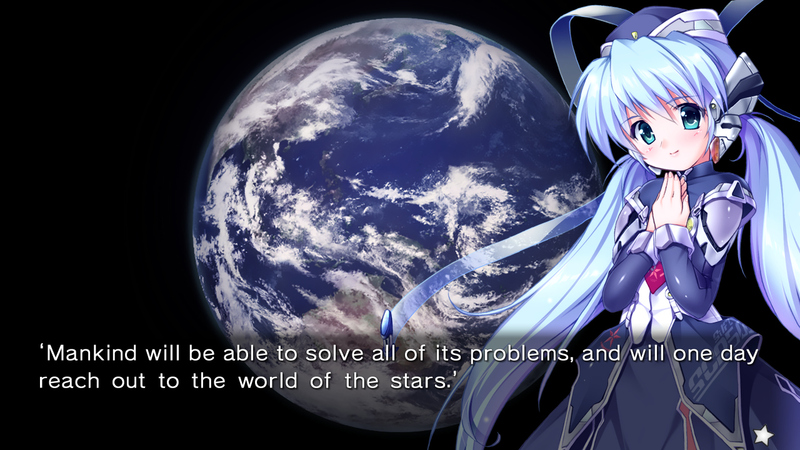 Which is fine, of course, and while Planetarian doesn’t quite have the impact that some of Key’s later works, it’s not a bad story. 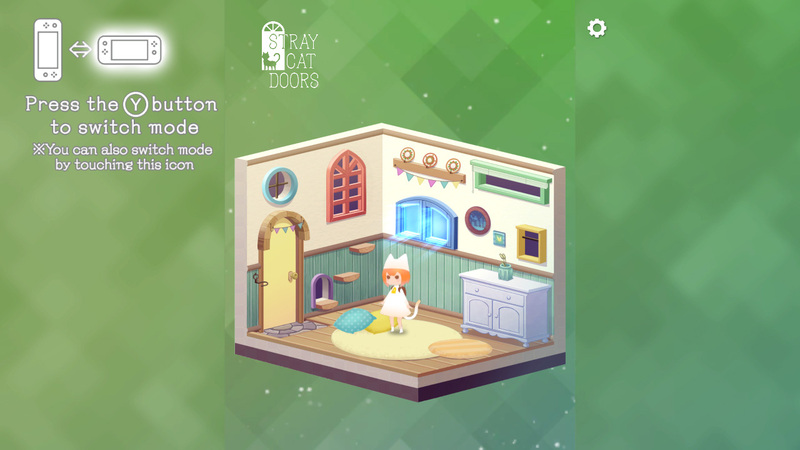 The basic premise has you interacting with a robotic girl who served as a guide in a planetarium in days gone by. The planetarium is in a sad state, and she asks you to fix the projector so the stars can shine again. But what will happen in the end? Plunk down your ten bucks and you can find out. 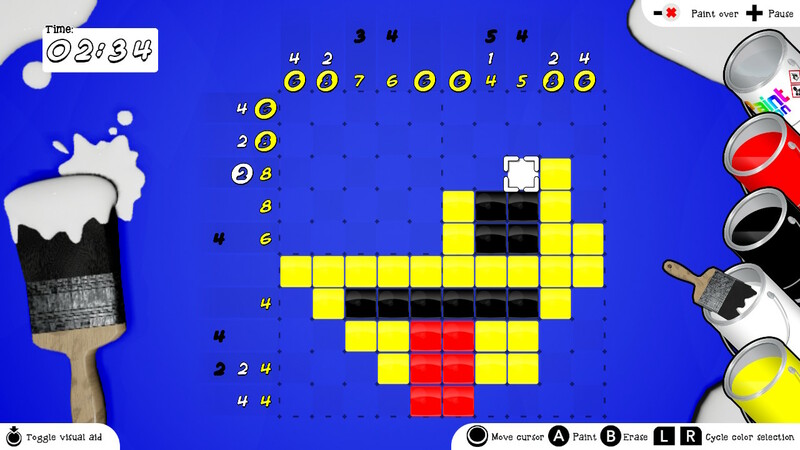 From the makers of Piczle Lines comes Piczle Colors, which adds a dash of color to the Picross-style puzzles. There are a few other Picross games on Switch that offer up color puzzles, but I’m of the mindset that you can never have enough of these. This one gives you six packs with fifty puzzles apiece, which means you get a whopping 300 puzzles to work through for your hard-earned money. The biggest size runs up to 15 x 10, so I wouldn’t say this will test the veteran Picross players out there, but hey, you takes what you gets. And this is what you gets this week. 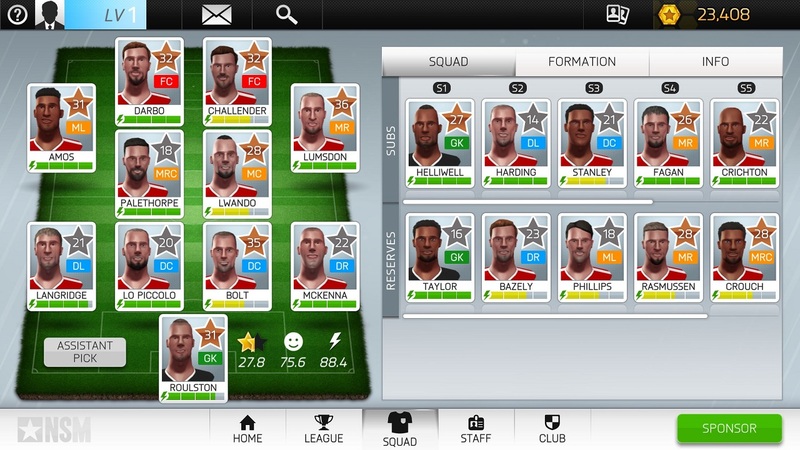 From the maker of the New Star Soccer series comes a new management-based sim take on the sport. I’ll be doing a proper review of this one sometime in the next few articles, so I’ll get into the nitty-gritty there. For now, I’ll mention that this is a pretty decent alternative to the more famous Football Manager series, with enough options, events, and parameters to nicely scratch my RPG-loving itch. You really do get to take part in just about every aspect of running and fielding a team, and the whole thing has a nice “lift up the losers" vibe that reminds me of that one movie about an underdog sports team that becomes the champions of their sport. You know the one. Well, there’s a review right up there, so I’m not going to blather on too much down here. The unusual controls, basic aesthetic, and rapid-fire death gameplay call to mind games like VVVVVV, and while it’s a bit short in the absolute sense, you’re going to have to chew glass for every inch of it, so… yeah. Provided you’re into this kind of ultra-hard challenge, I think you’ll get your money’s worth out of Necrosphere Deluxe. But if you don’t have a lot of patience to burn, you’ll probably find this one of the more aggravating entries in the genre. 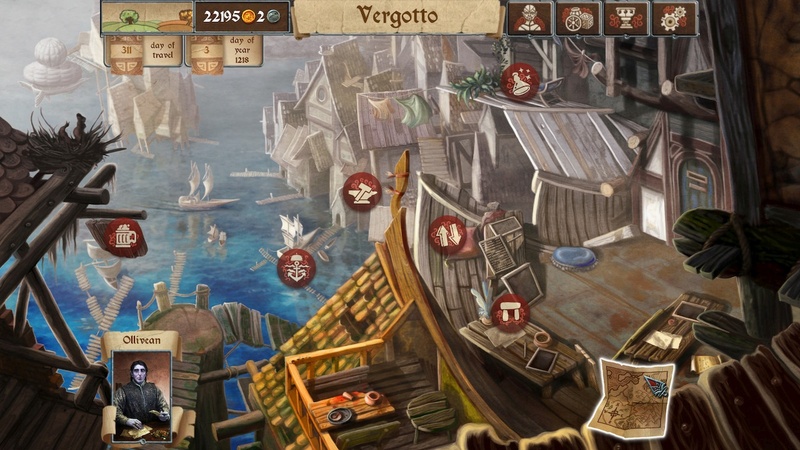 Mobile gamers are probably quite familiar with Merchants of Kaidan, the trading game/RPG from Forever Entertainment. It’s been around for a while now, and you can buy it for a buck on the mobile device you may be reading this very page on. It’s not a terrible game, and it’s certainly quite polished if nothing else. But I also don’t think it’s a particularly good game, either, and it’s even less good at ten times the price. I don’t know. If you already know the game and love it, and you just want it on your Switch, here you go. If you don’t, I’d recommend spending the dollar on the mobile version to see how it grabs you first. It’s a relatively minor investment in exchange for knowing whether or not you want to bite on this version. I kind of bounced off this game when it first came out but came to really love it when it released on mobile. I think it’s a game that suits portable play well, but that could just be me. Anyway, it’s a little base-builder, a little light 4X, and a lot of turn-based battling. Note: if you do not like strategic turn-based battles, this is not the game for you. The fights are the best part of the game and the other stuff mostly just serves them. But if you do enjoy a good turn-based battle system, you’re going to have a really good time here. Lots of options to play around with, plenty of possible strategies and tactics, it’s all nice and crunchy. I’ll give it a light slap on the wrist for going all-in on the Switch tax, but otherwise? Yeah, it’s a good one. Gabbuchi is a cute puzzle game from h.a.n.d., and if you enjoyed games like Boxboy or Solomon’s Key, you’ll probably have a good time here. 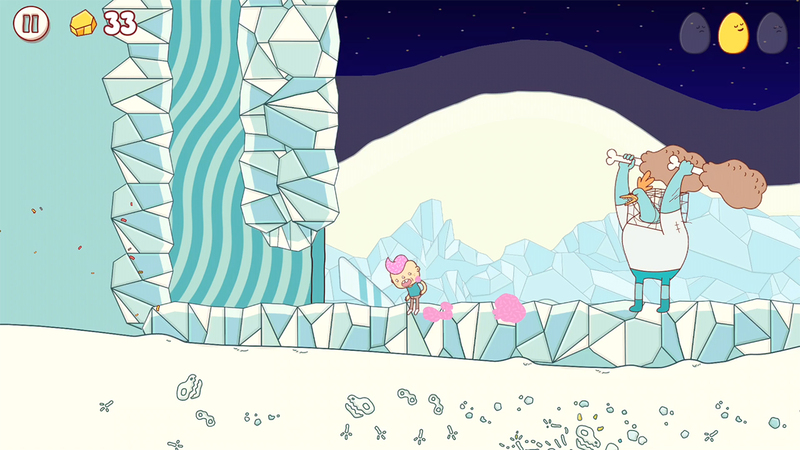 The little critter needs to reach the Heart Cookie on each of the game’s 180 stages. It can eat blocks that are the same color as it, and it can change its color to keep on eating. Blocks of opposite colors are solid and can be stepped on. So you have to figure out which blocks to eat and which blocks to leave in order to reach the cookie, which is pretty easy at first and maddeningly difficult later. It’s visually simple, but I can’t argue against the cute factor at play. Well, I’m sure you know if this is your sort of party or not, I’m just here to tell you it won’t let you down if it is indeed your sort of party. This game has always turned me off with its gross-out premise, but if you are better than me and can get past that, there’s a solid platformer here. Use the power of vomit to save the day in this 36-level romp through colorful, cartoonish worlds. Presumably this includes the base game and its DLC add-on from the mobile version, with a little extra mustard added to the price. Well, buttons probably make any platformer more approachable for a lot of people, so the higher price may well be worth it for some. Personally, I think there are plenty of great 2D platformers on the Switch and I’m not sure this one is necessarily worth the price it’s commanding, relative to its competition. Well, again I have to point to the review up above. It’s an interesting game and the sprite work is gorgeous, but it’s definitely geared more towards multiplayer enjoyment than anything else. That’s not to say you can’t enjoy it in single player, but it’s much more grindy and the pacing of battles takes a big hit. In multiplayer, though? Chef kissing his fingers, for real. As to which one you should buy, well, if you’re only going to get one, I’d go for Frontline Fighters. But you can make a good go of it with either set of characters, so there’s no real wrong answer here. I’ll have a full review of this one in the next couple of days, but I don’t think it’s really necessary. 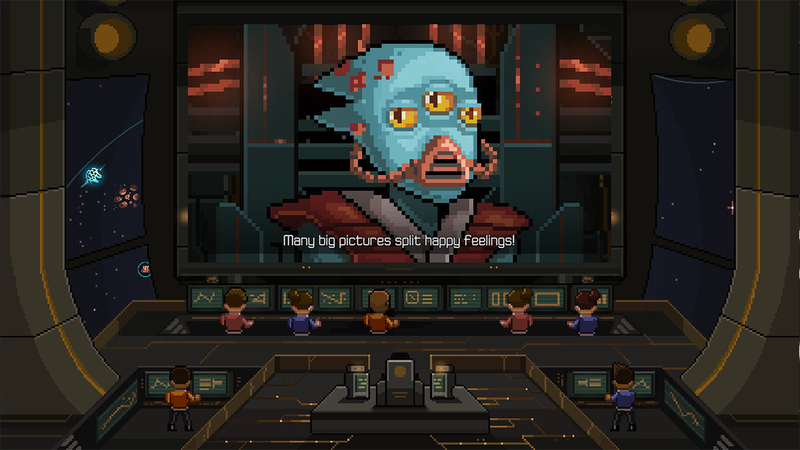 This is a fun, unique take on the roguelite concept that just clicks in every possible way. The price is fantastic, and the game even works in vertical mode if you want to get the proper Downwell experience. Add in a Flip Grip and you’ve got a grand time. Or have a grand time without the Flip Grip. 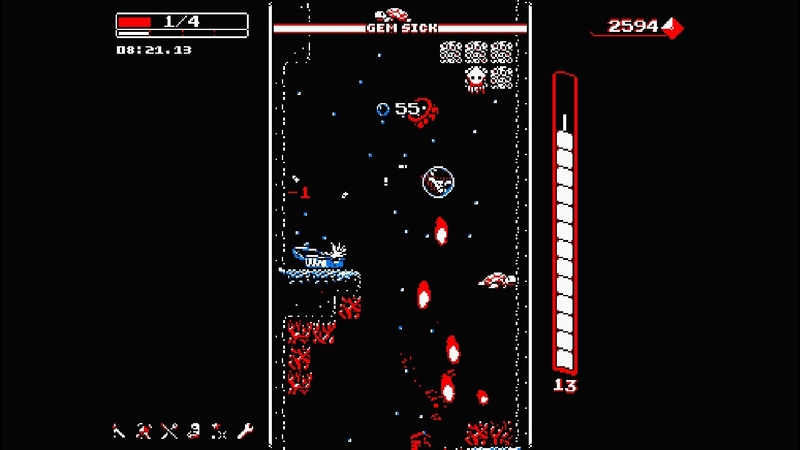 It’s Downwell, what more do you need? This is a physics-based party game that is pretty much just made for you to enjoy with friends when you’ve got little else to do. You can play by yourself against AI opponents if you really want to, but no, come on. If you aren’t doing this one with friends, there’s not much point. So is it a great game to play with friends? Well, it’s not bad, but there are so many options for party games on Switch and probably not that many occasions to whip them out, so I’m not sure if “not bad" is really going to cut it here. 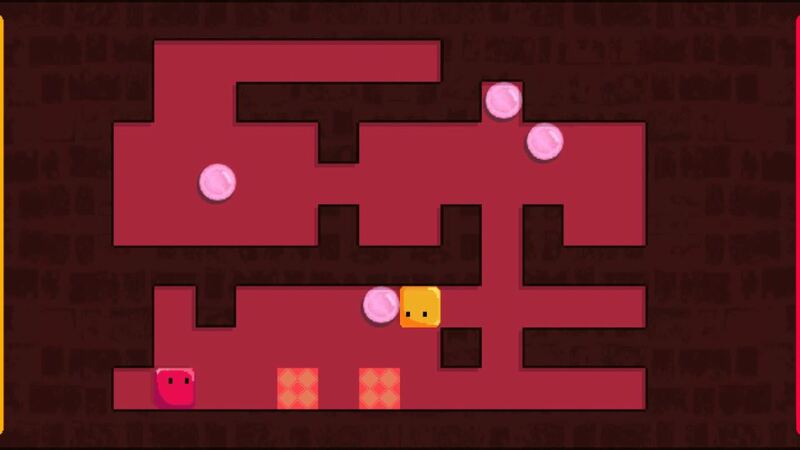 Another cute puzzle game at a reasonable price, Bleep Bloop has two little slime things that can fling themselves in the four cardinal directions. Sadly, they can’t stop until they hit an obstacle, so in order to make their way to the goal in each stage, they’ll have to use each other as stoppers. You can play this alone, swapping between the two, or play with a friend where each of you controls one of the pair. Not really anything we haven’t seen before, but it looks fun enough if you’re looking for something small-scale to impulse purchase. Well, I was just talking to someone about the serious topic of how the Switch needs more twin-stick shooters. Why, at this rate I might not be able to play a new one each day! Can’t have that! Luckily, Airheart has us covered for today. In its favor, it’s a lot more colorful than a lot of games in this genre. I like that. But it otherwise seems quite unremarkable, a sentiment I see reflected in most reviews of its previous releases on other platforms. I’m going to say skip it, unless you have exhausted all of the other good twin-stick shooters on Switch. And I don’t believe you if you say that. Nope. Wow, this just looks… terrible. I like to think I’m open-minded about visual choices, but this is not pleasant on the eyes in any sense. I’m sorry, friends, I just can’t deal with this one. I’m sure there are merits to the game, but yikes, please at least try to use pixels of a consistent size? The gimmick here is that the world acts like something of a sandbox where elements can react to one another. Each of the eight playable characters have different abilities that will affect different elements in different ways. As such, each character will have to navigate the world in their own way according to their abilities. Sounds neat, but bleah, it looks nasty. And there goes the tumbleweed again. So yeah, new sales today are sparse, but if you had your eye on Football Manager, there you go. While I can’t fully endorse buying any of Kemco’s RPGs on Switch even at sale prices, if you really feel compelled, grab Asdivine Hearts. It’s a better game and it doesn’t have $20 of DLC, which is more than I can say for Antiquia Lost. Even the ending sales are small in number, with the Lost Phone games heading back to regular price after a few days on discount. Well, that’s fine. Something like five or six genuinely awesome new games are out between today and tomorrow, so the more money you can keep for those, the better. And that puts a ribbon on today’s SwitchArcade Round-Up. What do you think? Do any of today’s releases catch your eye? I’ll have some reviews of a few of these games trickling out over the next few days, but I am but one person, so please be patient. Anyway, be sure to check back tomorrow for more reviews, more news, more new releases, and more sales. All that good stuff. As always, thanks for reading!